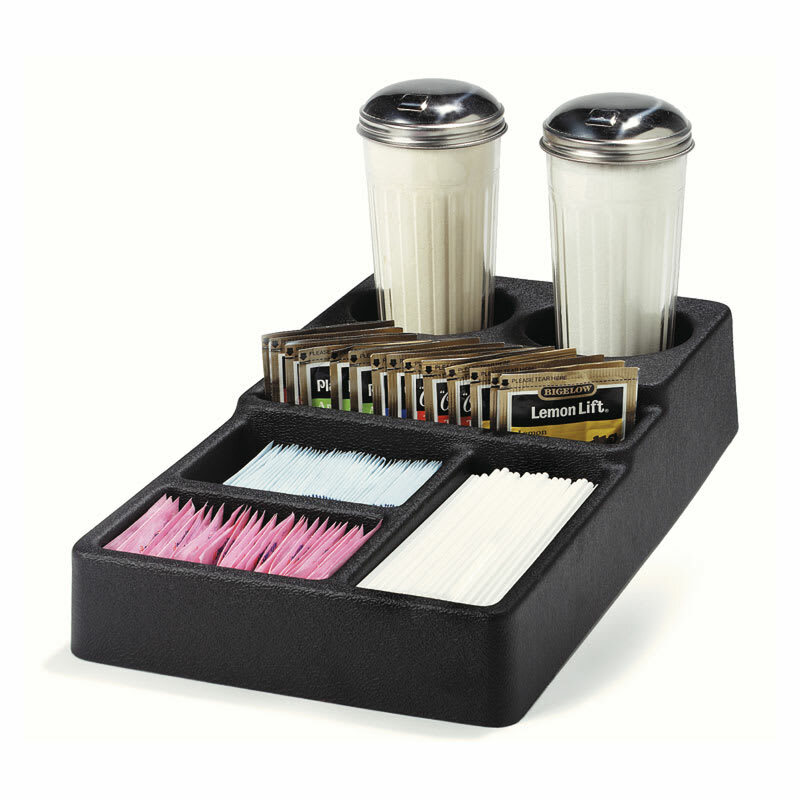 Organizer your creamers, sweeteners, stirrers and lids with this coffee service condiment caddy unit. Provide your patrons with everything they need to make the perfect cup of coffee with this condiment caddy from Carlisle. This coffee service condiment caddy unit features 6 compartment dividers so that you can adjust your condiment storage space by size, need, or desirability. This coffee service condiment caddy unit is ideal for countertops and coffee prep areas so that your patrons can easily see and reach everything they need to prepare their coffee to their specific tastes. Give your business the gift of organization and your patrons the gift of choices! "This stand works great with our Keurig coffee maker on a small table for our customers in the office lobby. Not too big and neat and tidy."